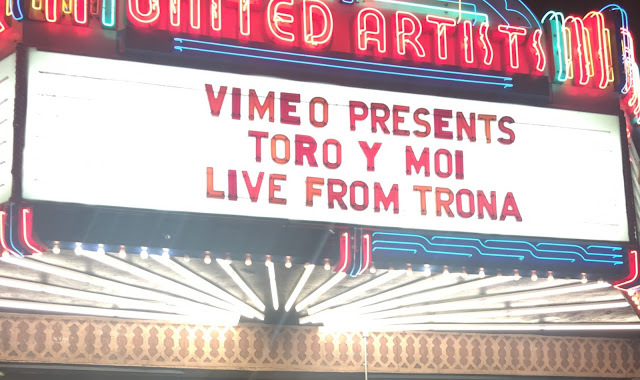 Last night I had the pleasure of attending the premiere of Toro y Moi Live from Trona in Downtown L.A. The film was beautifully shot and complimented the great music. It left me becoming an even bigger fan. And if you have not heard of Toro y Moi, I highly recommend you checking the playlist below.